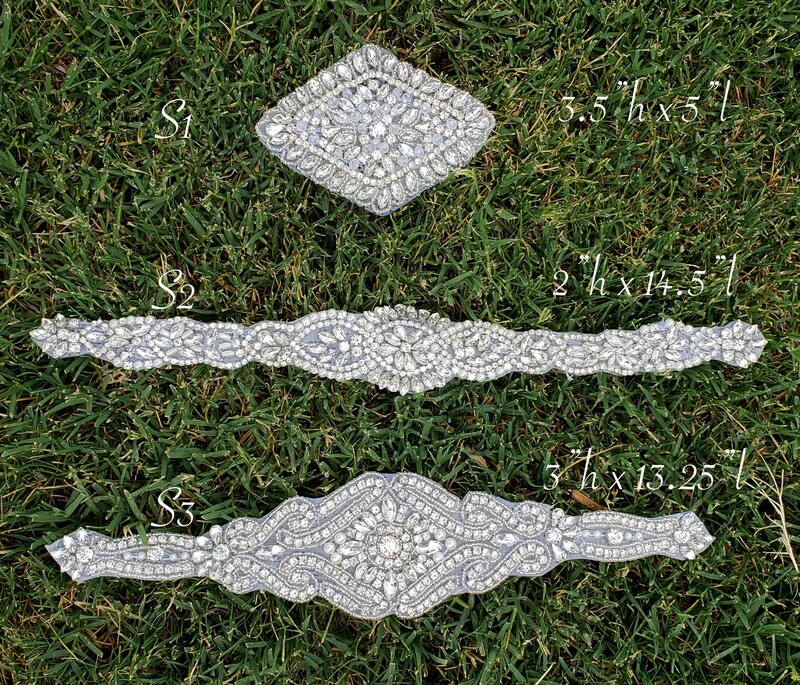 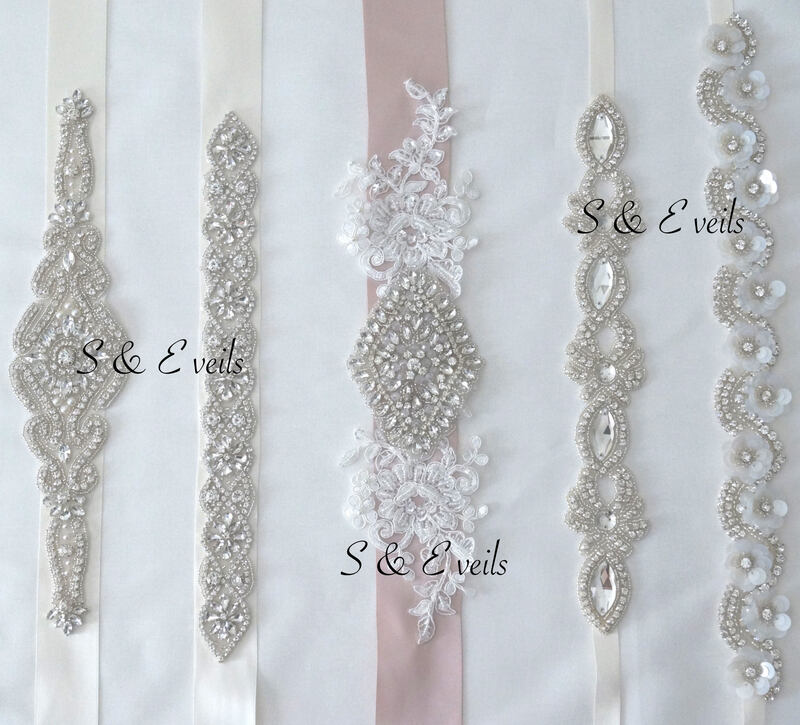 Your gorgeous applique will then be applied to your choice of the sash (the length of the sash is 84" long and you may cut it shorter or leave a note for me to make it shorter). 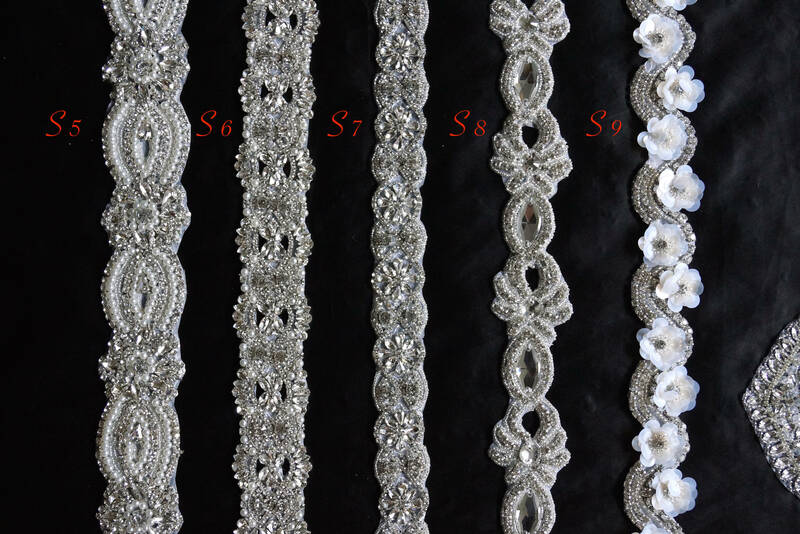 Choose from many colors or request a custom color. 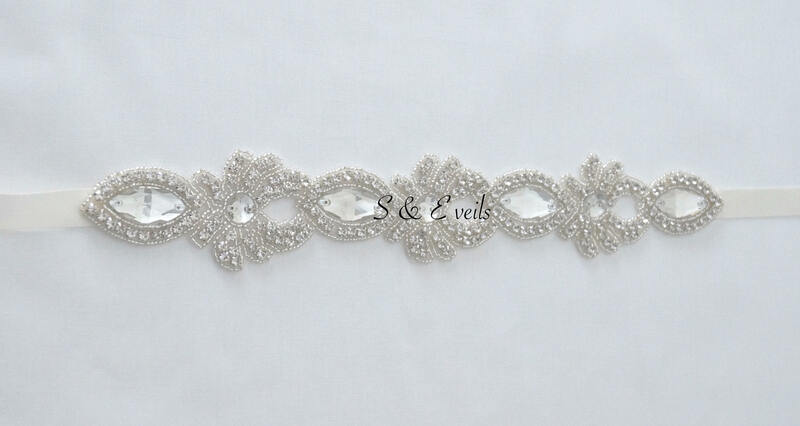 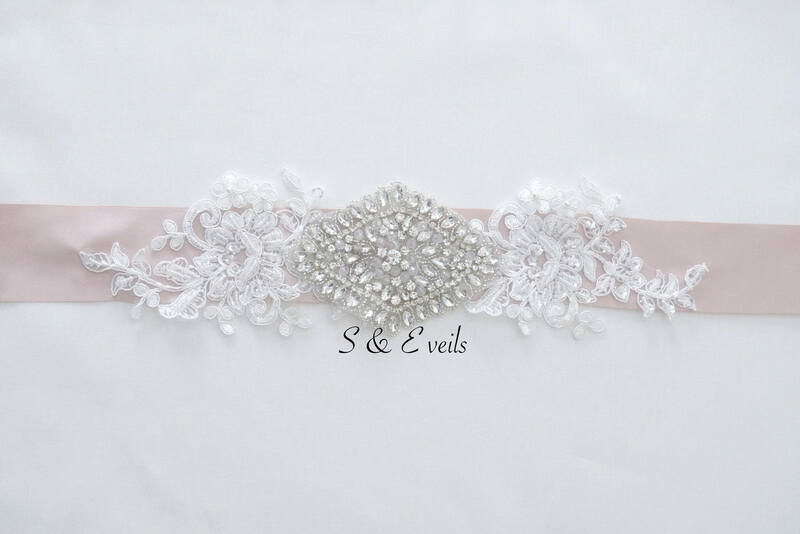 These are not only for a bride but will make an everlasting impression on bridesmaids, flower girl or mother of the bride, prom dresses, evening gown, homecoming, etc.